New Books From Gail Carriger! As reported today in Publishers Weekly, we’re thrilled to announce that Orbit US will publish Gail Carriger’s next adult series, The Parasol Protectorate Abroad. The series is tentatively scheduled to launch in 2013 with book one, PRUDENCE, to be followed by IMPRUDENCE (naturally). Both books will also be available as simultaneous, unabridged audiobook releases from Hachette Audio. If 2013 seems too far away, fear not — there’s plenty of parasol coming to tide you over. In March 2012 Orbit will publish TIMELESS, the final book in the original Parasol Protectorate Series, and our friends at Yen Press will be releasing SOULLESS: THE MANGA, an incredible graphic adaptation of the books illustrated by artist Rem. And to round things out, Little, Brown Books for Young Readers has acquired Carriger’s debut YA historical fantasy series, Finishing School, set in the same world but 22 years prior to SOULLESS. 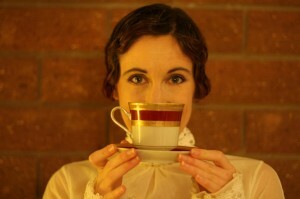 You can learn more about these books, and all of Gail’s projects, at gailcarriger.com!